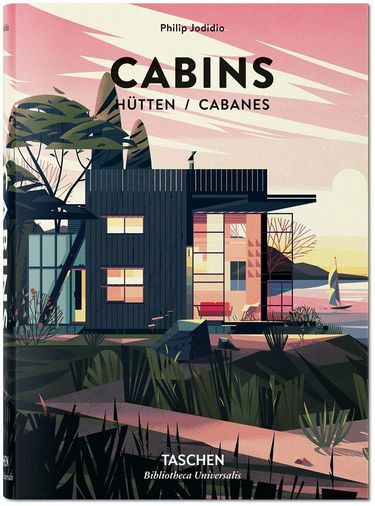 This Bibliotheca Universalis edition of Cabins combines insightful text, rich photography, and bright, contemporary illustrations by Marie-Laure Cruschi to show how this particular architectural type presents special opportunities for creative thinking. 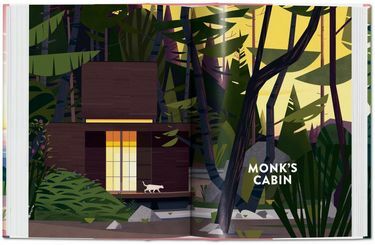 In eschewing excess, the cabin limits actual spatial intrusion to the bare essentials of living requirements, while in responding to its typically rustic setting, it foregrounds eco-friendly solutions. 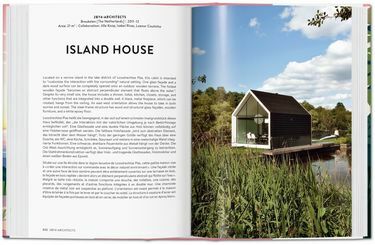 The cabin comes to showcase some of the most inventive and forward-looking practice of contemporary architecture, with Renzo Piano, Terunobu Fujimori, Tom Kundig, and many fresh young professionals all embracing such distilled sanctuary spaces. Bibliotheca Universalis?Compact cultural companions celebrating the eclectic TASCHEN universe at an unbeatable, democratic price! Bookworm’s delight?never bore, always excite!